I’m happy with the progress I’ve been making with the blog lately. It’s surprising how frequently I’ve been able to write (haven’t been able to read all that much). I don’t know how long that will keep up, but I’m enjoying it while it lasts. It’s hard to balance my hobbies, sometimes. It’s not a perfect balance right now by any means, but things could be worse. How anyone like Jim manages more than one active blog at any given time is far beyond me. He’s originally known for his blog GCRL (hence the title) and creator of several side blogs. He is now writing for cards as i see them. As you know already, I completed a nice big trade with him late last year and you can catch the first part of the trade here, if you’d like. Second part here. From what I can tell, there should be two more parts after this, but this will be the only one to feature non-2016 Cubs players. There was a random assortment of my previous player collections and I don’t have a great way to lump them together. I mean, I rarely do when talking about trades. But, let’s see what kind of stuff I got for those retired players. 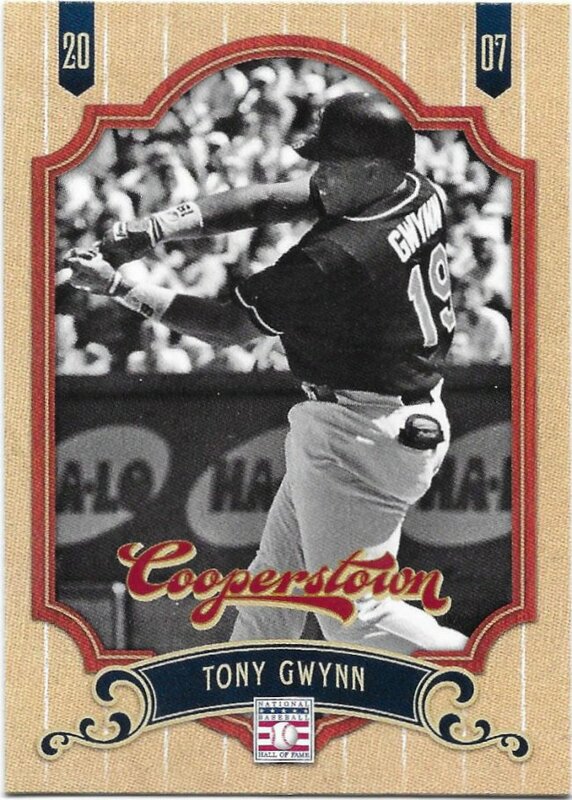 Cooperstown is probably one of the better sets that Panini put out, and I especially liked seeing a lot of HOFers that normally don’t get cards. I understand why it shouldn’t be a yearly set, though. For this one, I’m missing any of the color parallels. 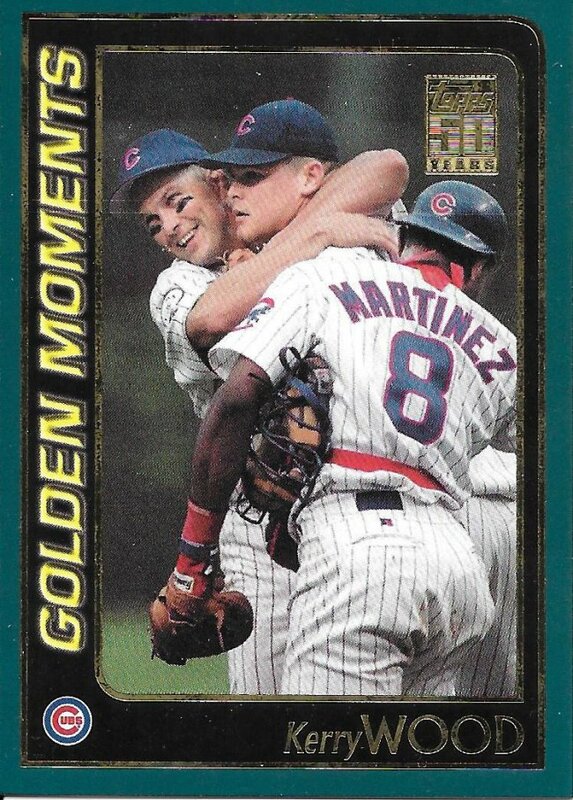 Crazy that I didn’t have this card as of yet, but I didn’t. A couple of the chromes, yes. The black border parallel, yes. 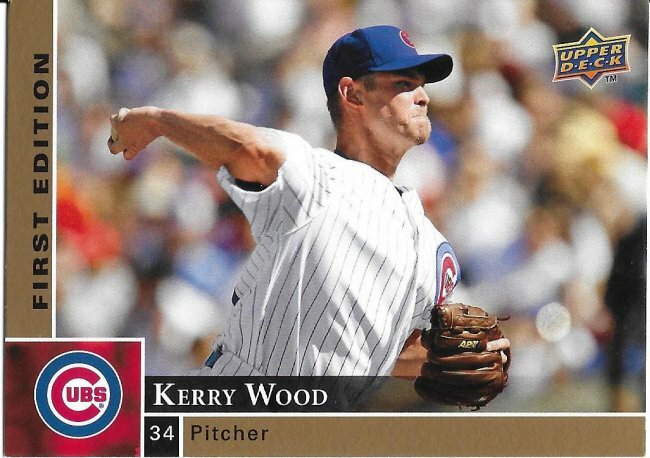 Sometimes the First Editions looked better than the regular cards. I go back and forth for 2009. 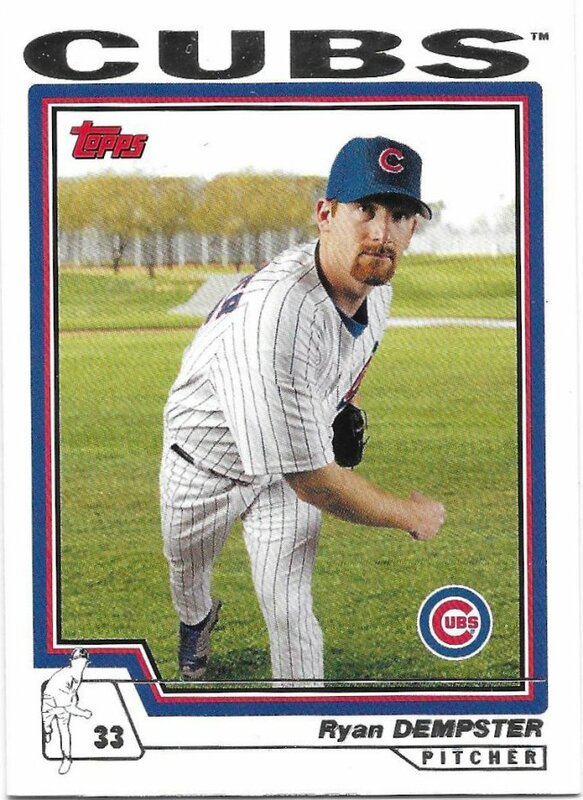 I remember a couple years back that UD teased they were going to make baseball cards again with their MLBPA license, but then it got scrapped. I wonder if they’re going to give it a shot again, or will be given a shot again. 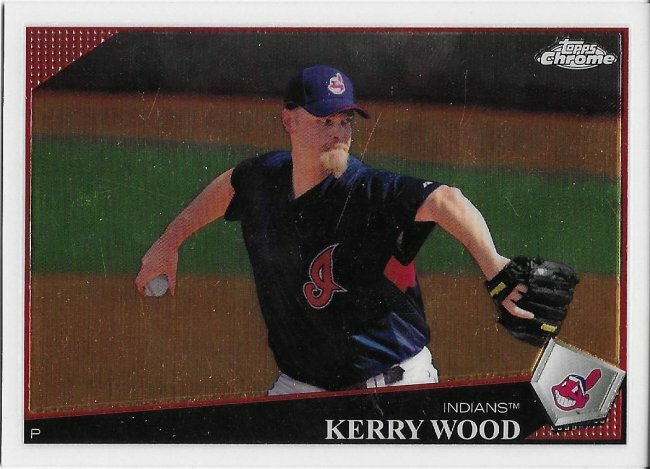 I wonder how far away I am from getting all of Kerry’s Indians cards. Maybe I’ll do a count after the National. 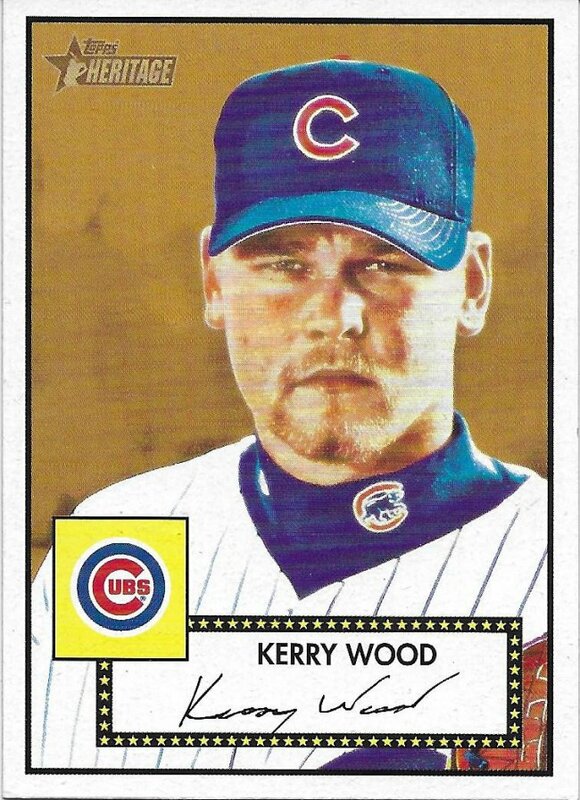 I discovered that I have a few different versions of this 2001 Topps card, but I don’t have any of Kerry’s normal base card/chrome/opening day. Weird how that works out sometimes. 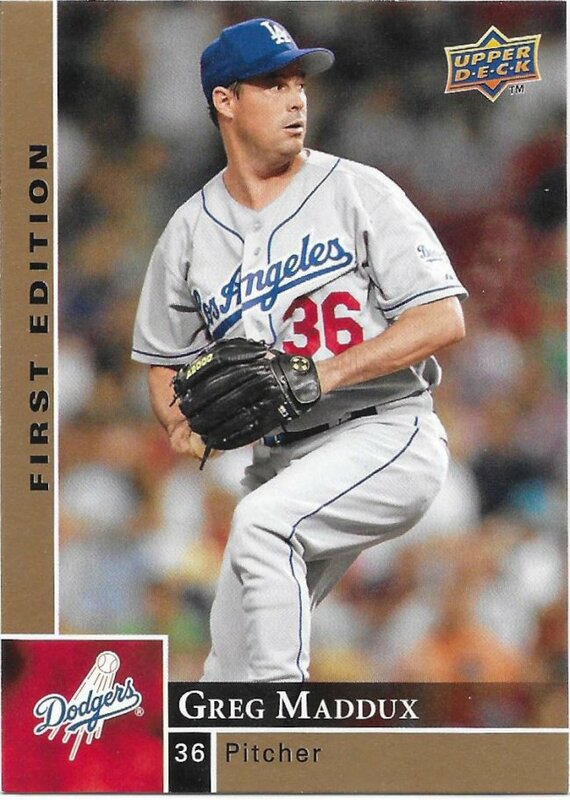 I will never open a pack of 2001 Heritage. It’s so weird to even own one. At this point with the cycle of reprints and reboots from Topps, it’s much easier to assume that this ’52 design would be from a different product altogether. I’ll end with a couple of newer cards. This one is not from Heritage as they have not quite reached this year. Instead it’s from baby heritage Archives. 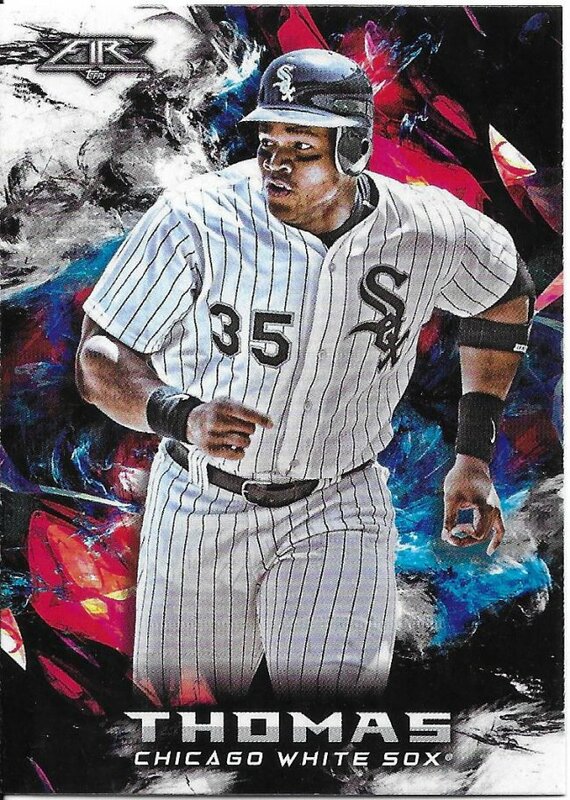 Lastly is a retail exclusive Topps Fire card from last year. I bought a couple boxes from 2017 (and have one sealed still), but didn’t buy any for 2018 since I got into a break. Here’s another non-Cub I no longer need thanks to Jim. Thank you very much for the cards and we’ll see some more of that trademark variety in the next parts very soon!